How About a Casserole! 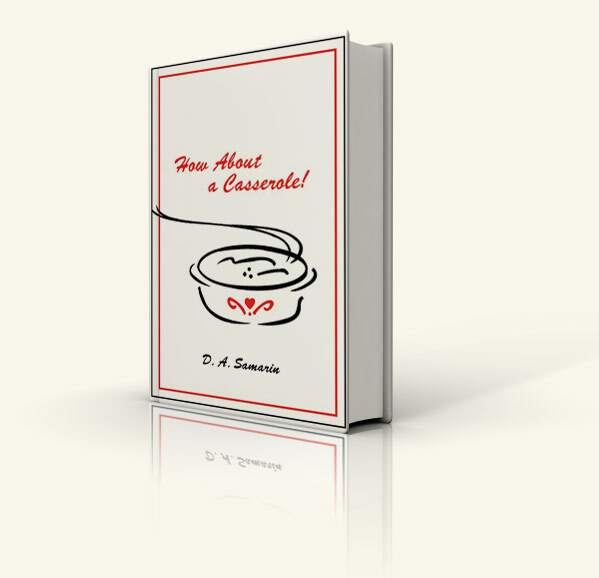 contains a varied and personalized collection of well-tested casserole recipes designed for those short on time. 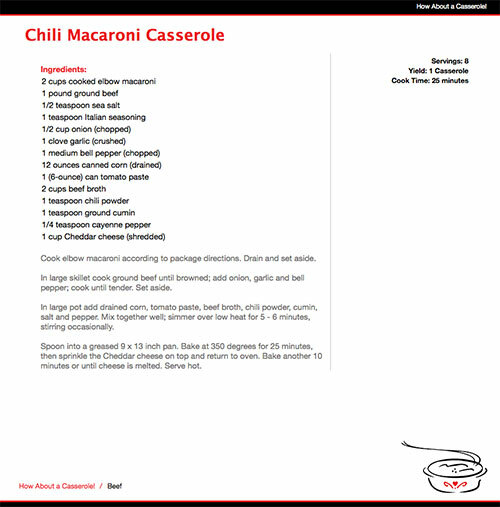 The collection provides step-by-step instructions, tips and quips on casserole preparation. Using D. A. Samarin’s work as a guide, young and old may prepare quick, easy, and delicious meals for their families. Casserole categories include beef, chicken and vegetable. None of the included recipes call for the use of pork, or pork products. How About a Casserole! also includes the author’s personal touch in a collection of miscellaneous dishes for any non-casserole occasion. D. A. Samarin, now retired, is a long-time resident of the State of California. Born in Los Angeles, she now lives in Hacienda Heights with her husband. She is mother to three grown girls. Her interests include sewing, reading, and cooking. Her love of the latter has been the motivating force behind the development of How About a Casserole!. In 2011 D. A. Samarin completed the collection in the hopes that others, and their families, may enjoy the recipes she has fine-tuned.